“By myself!” “By myself!” “By myself!” Numerous times each day our granddaughter asserts herself, announcing with much gusto that whatever the task, she can handle it. But Elena just turned two. Although her confidence is high, skills are limited. 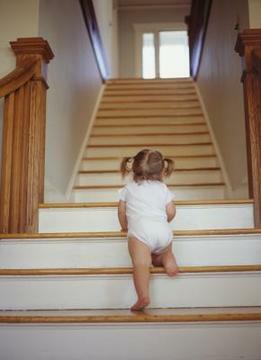 When it’s time to go upstairs, “by myself” means down on all fours, one limb at a time. One hand up, and then the other. One foot up and then the other. It is a slow and laborious process. Hand washing is another activity she prefers to do independently. But her attempts to pump out a dollop of liquid soap often end unsuccessfully. The soap usually lands in or around the sink—not in her hand. And once the soap is in her palm, Elena reaches for the faucet. Forget the actual washing. If we try to help, she pulls her hands away. “By myself!” Even when she acquiesces, her scrubbing efforts leave much to be desired. Squeezing is her version. And rinsing is another issue. “By myself” often results in enthusiastic splattering of water on dry dishes, counter, and backsplash. 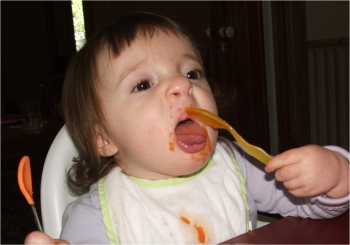 Because of her unwieldy grip, Elena ends up turning the spoon upside down as it approaches her mouth. Needless to say, most of the food ends up on her chin, in her bib pocket, on her clothes, on the tray, or back in the dish. We shake our heads and roll our eyes. Toddlers! Yep, I can be as foolish as a toddler, even though great wisdom is available to me. is bowing down to God. Ouch. But Solomon is right. God made me; he knows the best course for me. Over and over again he has proven himself worthy of my trust — guiding my way, providing for my needs, empowering me to accomplish his plans. If I can’t trust the One who died for me, who can I trust? Oh, Father, forgive me for the times I have foolishly asserted my independence. Help me to relinquish control to you. I’ve lived long enough to know from experience that living life by myself does not result in satisfaction. Help me become a person who turns to you first, and asks, “What do YOU want me to do, Lord?” because you are the all-wise One of the universe. And I know the benefits of following you will far outweigh any costs. 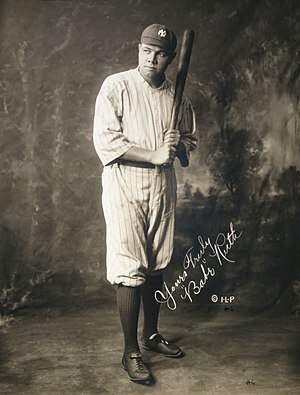 “Never let the fear of striking out get in your way” – Babe Ruth. We can actually find similar truth in scripture. “Be strong and courageous. Do not be terrified; do not be discouraged, for the Lord your God will be with you wherever you go” (Joshua 1:9). Sometimes, as I turn the calendar page to a new day, I have to wonder what the selection committee was thinking. See if you agree. Forgive me, but that makes no sense. Am I missing something? If so, please set me straight. 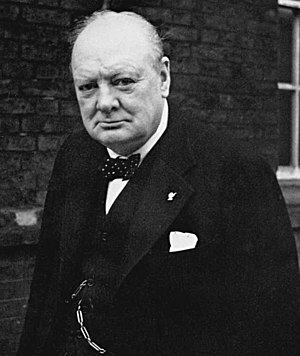 “All men make mistakes, but only wise men learn from their mistakes” — Winston Churchill. Wise men also admit mistakes and correct them. When we don’t, we heap another mistake on top of the first: pride. Ouch! Although there is joy in the journey, it is not home. Our final home is heaven. I do not want to become enamored with the journey and lose sight of my home. With Paul, I want to “press on toward the goal to win the prize for which God has called me heavenward in Christ Jesus” (Philippians 3:14). Problem is, no matter how well we take care of ourselves, these bodies have expiration dates. But praise God our earthly bodies are not the only place to live! In fact, for those of us who know Jesus, “to die is gain” (Philippians 1:21). We’ll have new, spiritual bodies fit for heaven — strong and vibrant, with no expiration date. Can you imagine? Paul said, “I desire to depart and be with Christ, which is better by far” (v. 23). 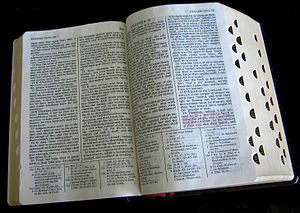 Thank you, Father, for your Word that speaks reliable wisdom and truth—truth that guides, teaches, and protects. But I need your help to live by its truths. 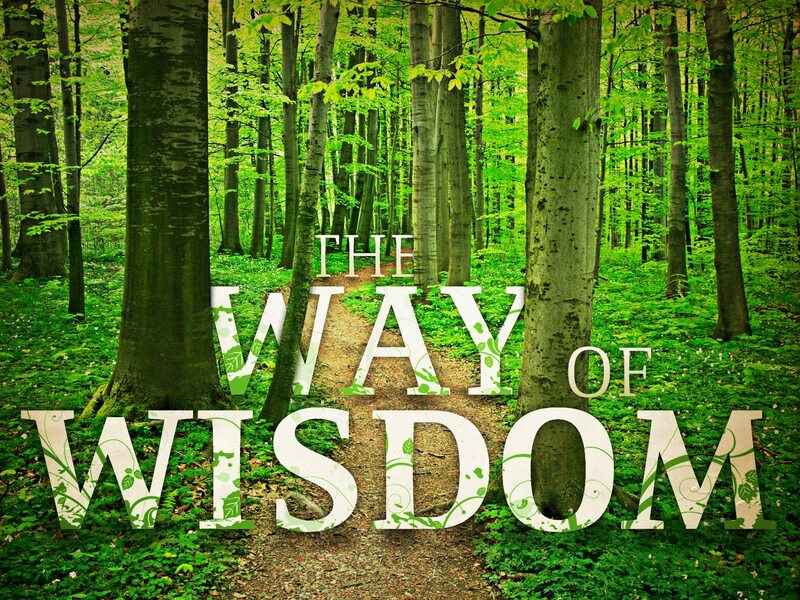 Remind me that only fools despise your wisdom (Proverbs 1:7).